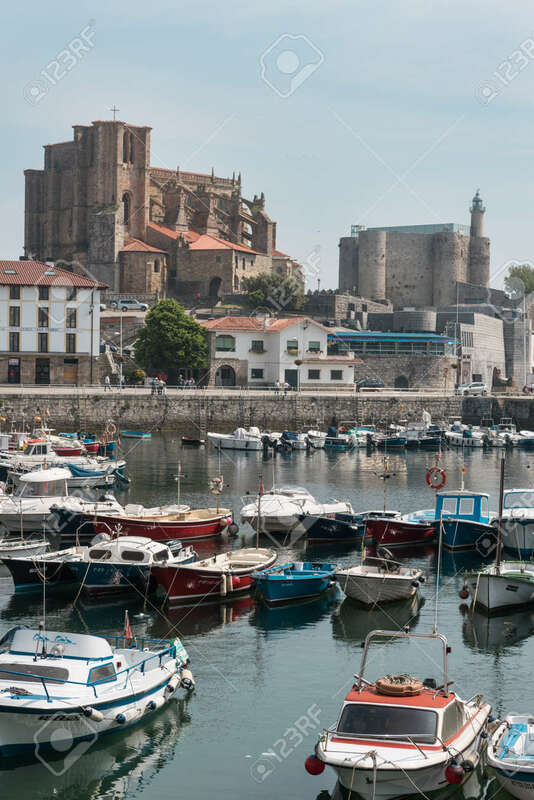 CASTRO URDIALES, SPAIN - 24 MAY, 2018 : Harbour Of Castro Urdiales,.. Stock Photo, Picture And Royalty Free Image. Image 103418537. Stock Photo - CASTRO URDIALES, SPAIN - 24 MAY, 2018 : Harbour of Castro Urdiales, Cantabria, Spain on 24 May 2018. CASTRO URDIALES, SPAIN - 24 MAY, 2018 : Harbour of Castro Urdiales, Cantabria, Spain on 24 May 2018.